This is the story of Bill Mitchell’s life – his career and his body of work from hospital at an early age to a life of art with commissions offered 80 years later. It describes gaining commissions, experiments with materials and methods and his determination to produce magnificent works of art. Bill’s eye for composition, colour and texture was apparent from an early age and he describes how he saw the world as being saturated in colour, textures and shape, seeing glamour and beauty in what could be dismissed as bleak London streets. After college (self-funded) and war service, he was a consultant with the London County Council and given free rein, as long as the cost was no more than the original specified treatment – which was usually a coat of paint! Bill’s experimentation resulted in a vast array of new and innovative finishes which was highlighted in an exhibition by the LCC. This led to work with famous architects of the day such as Basil Spence and Sir Freddie Gibberd who designed the Liverpool Metropolitan Cathedral of Christ the King where Bill created the famous bronze sculpted doors and designed the Portland Stone frontispiece. He also produced the Stations of the Cross at Clifton Cathedral, Bristol and the Grade II listed Corn King and Spring Queen figures at Wexham, which are ‘pieces of powerful and bizarre imagination’. He has had a total of nine works of art listed Grade II by English Heritage – more than any other artist. Following completion of work at Qatar’s zoo, he was coerced into producing something prestigious for the Queen and Prince Philip’s visit to the State. With a tight schedule, the garden at Shayhania for the Oryx with its pools, waterfalls and sculpted hills was completed in six weeks and was a massive success. He was offered the position of Adviser to the Amir’s Office on Art and Design and was involved in creating interior decoration and fabulous gardens for palaces as well as massive infrastructure projects in Doha. Bill’s zest for life, his love of London, his determination to cover the world with sculptures, murals and decoration are main themes, as is his dislike of minimalism and the established art world. Included are stories about his discussions on art with Princess Margaret, his clashes with Prince Philip, his battles with Mohamed Al Fayed and the phenomenal success of the Egyptian Hall and Escalator at Harrods. He designed the Hall and executed the carving on all 300 panels cladding the walls – no mean achievement for any sculptor but Bill was by then 75 years old. He designed the notorious Michael Jackson statue, which was unveiled by Mr. Al Fayed at Fulham Football Club and which created a furore. It was shortlisted for a prestigious Public Monuments and Sculpture award in 2012 – for it to be considered alongside young modern sculptors was remarkable. 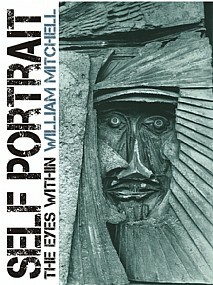 Self Portrait contains a vast array of illustrations of Bill’s work and in so doing reveals the man – a true creative genius, who invariably had a smile or comic story to offer, and whose energy carried projects to completion despite the many challenges. It’s a brilliant and inspiring story. This profusely illustrated book will be of huge interest to architects, designers, sculptors, artists and anyone interested in civic and public art.